Model 14 GVC 100 is a 14 pocket, 6 Vertical & 8 Horizontal portable heavy gauge wire counter spinner revolving for common 5" x 7" greeting cards. Wow! I had a little trouble with my internet connection so I called the customer service number on the site. I spoke with a very pleasant lady who placed my order for me over the phone. I had my product the very next day. Nice service, nice product! I will definitely be ordering from them again. 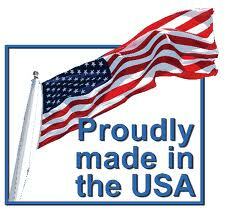 And added plus is these are manufactured in the USA. 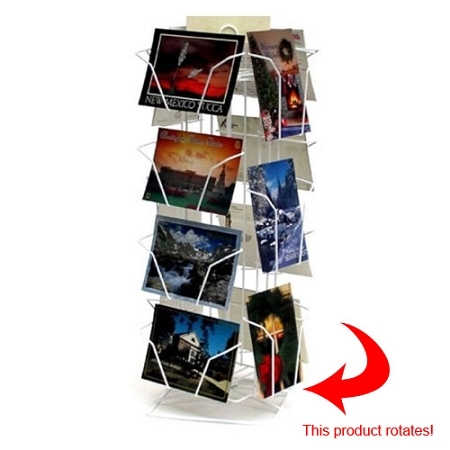 I ordered this rack because I needed a smaller table-top version of the floor spinner I have for selling my artist cards. I love that this takes both vertical and horizontal formats -- something that's hard to find locally. And it is light weight, too. Thanks for a great product! I needed a table top card display for cards at my art exhibit in a hurry and hoped to find one made in USA. The product is well made, does not tip, rotates easily, shipped immediately and the personal customer service satisfying. Will recommend! Love this little counter-top spinner rack. It's one of the very few available that have both vertical and horizontal display pockets.